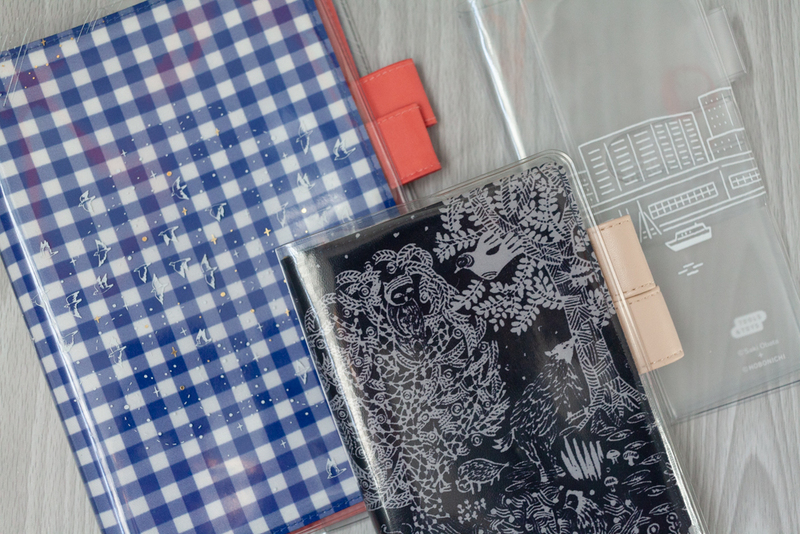 It feels like Hobonichi’s have become all the rage again in the planner world. 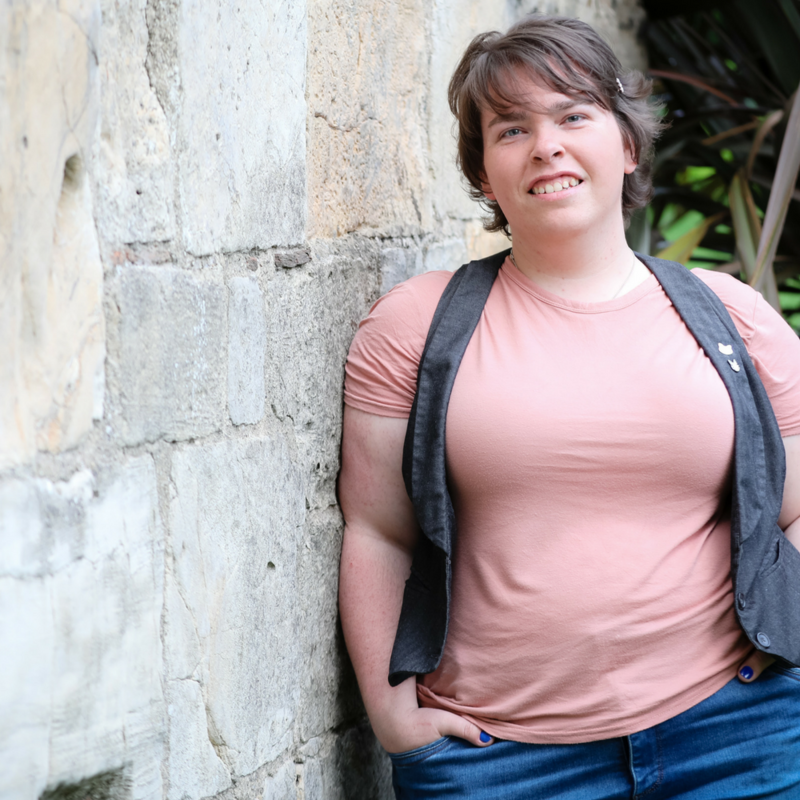 If you have been following my blog for a while you’ll know that I am in my third year with this brand. I have had every variation of the different planners that they have on offer. So, I thought that I would put together a guide to help you pick the right one for you. There are a few different version and I am going to be sharing quite a few photos to compare the 4 different Hobonichi’s that are out there. So what is the difference between them! Most of these photos are of all of the planners together so that you can see the difference between each of them. Shall we dig in! 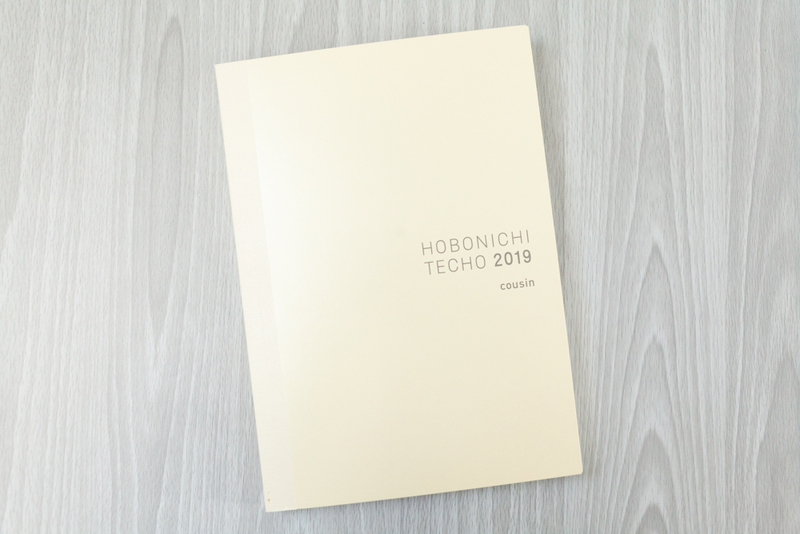 This is the English version of the Hobonichi. Like the original this does not have a weekly section built in you would need to buy the supplement. This has the vertical month, Monthly view and one page per day all in English an the daily pages have quotes and sayings at the bottom of each day. 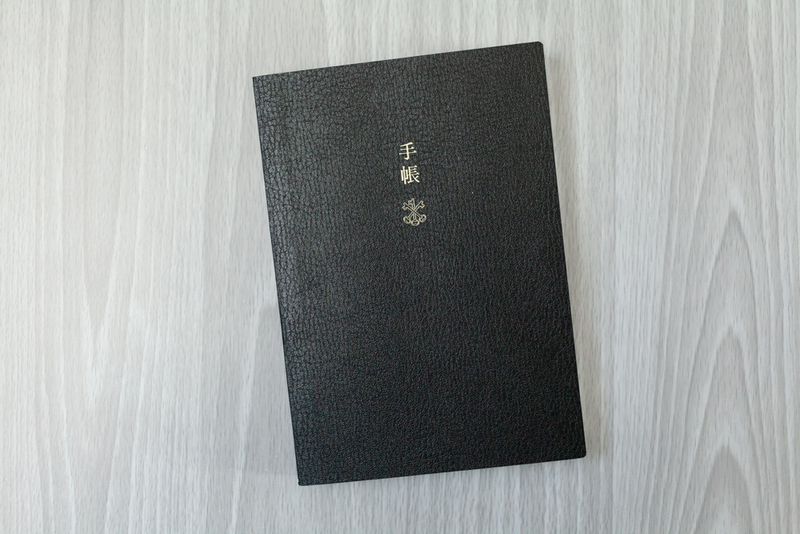 This the most common of the Hobonichi’s. The one in the photo above is the Spring edition that they release in February. Like the English Planner, this does not have a weekly section built in, you would need to buy the weekly supplement. The daily pages each have a slightly different deisgn to the English version but you will see that further down. 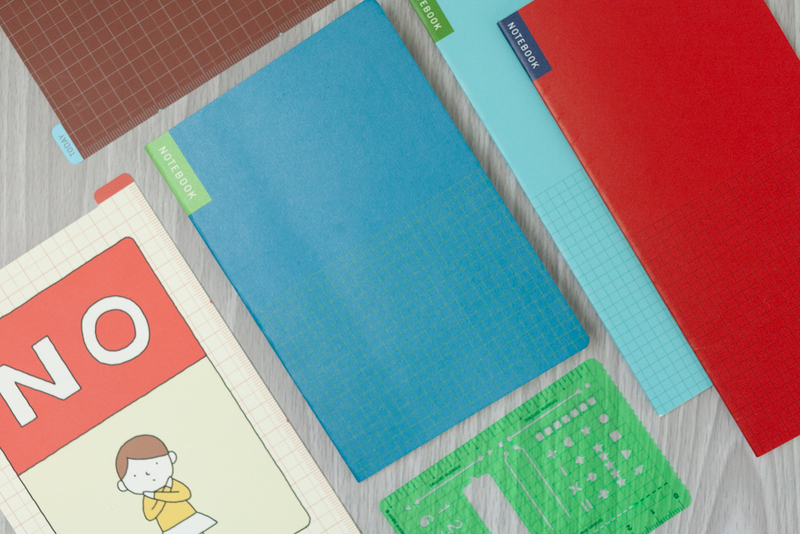 But this is a compact Japanese daily planner with a colorful, user-friendly design. The biggest of the Hobonichi’s is the Cousin. A lot of people use this as a work or every day planner. 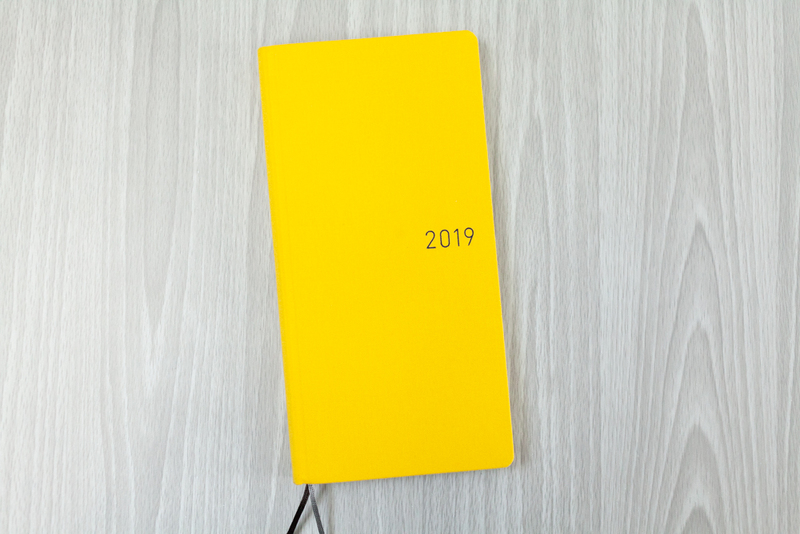 Within this planner you have a full year plus a bit extra. So that’s the vertical months, standard months followed by 52 weeks and then 365 daily pages! Now that’s a lot of pages and thanks to the Tomoe River paper it can stay incredibly thin! You can have all the layouts in one book with no bulk. 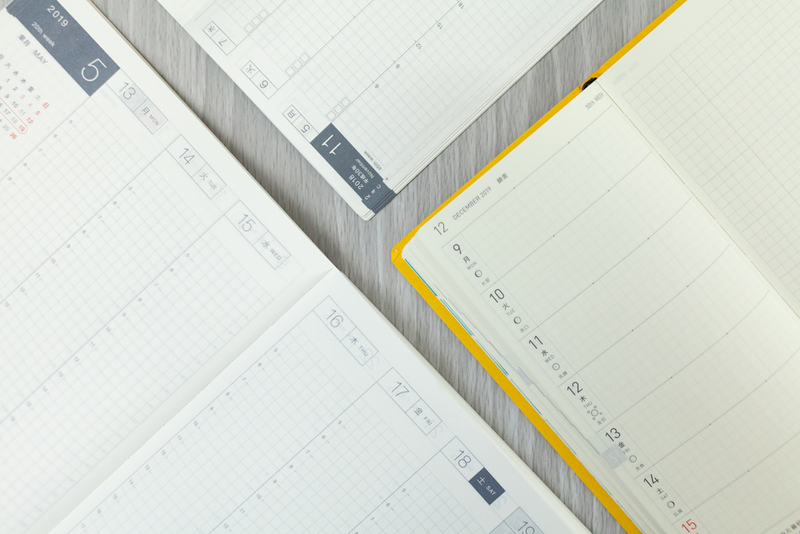 This like the A6 original is a Japanese daily planner with a colourful design and roomy layout. I have a couple of reviews of my previous cousins you can find the latest one here. The forth and final Hobonichi that I have to share with you is the Weeks (or Weeks Mega if you want more note pages). This has a slim vertical design with a month on two pages and a weekly format with notes page opposite. In the back of the weeks there is plenty of blank graph paper in the back and if you want even more space you can go for the mega version. I did a review here of the weeks planner. So let’s dig into the each of the planners and see how they look next to each other. Here I have the Cousin, Original and the English laid out on the vertical month. I have seen a lot of people use these as trackers and gratitude journals. I am to use them as an index for my daily pages, ie if I sent out a certain email or made a certain list. This will be the first time that I have used it this way and I am excited to see how I get on with it. This is a page that a lot of you will be familiar with. The standard month on two pages in all four Hobonichi’s. You will notice that the Weeks has cream paper while the other three have white. 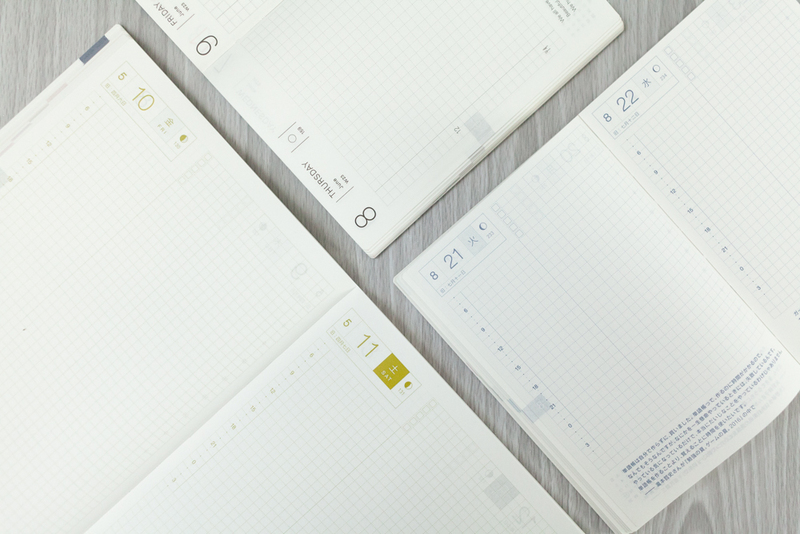 These are a great month on two pages and have a lot of space even the A6 versions. 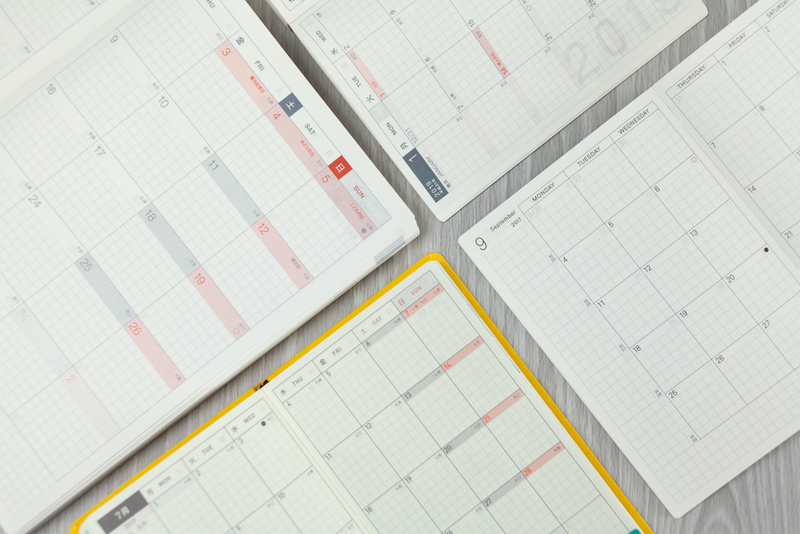 This layout is great for a birds-eye view of what you have going on in a month. I have all my travel planned out and appointments that I have and when I need to flea Patch or when Jono has a conference. Like I have said previously the A6 does not have a weekly view so you have to buy a weekly supplement which is at the top of the photo below. The weeks has a nice blank graph page opposite the week view and this gives you the option to take notes or Bullet Journal. This is a great way to have a flexible week. Daily pages make up the bulk of the Cousin and the A6 books. Remember that the weeks do not have this page but they have the note pages. 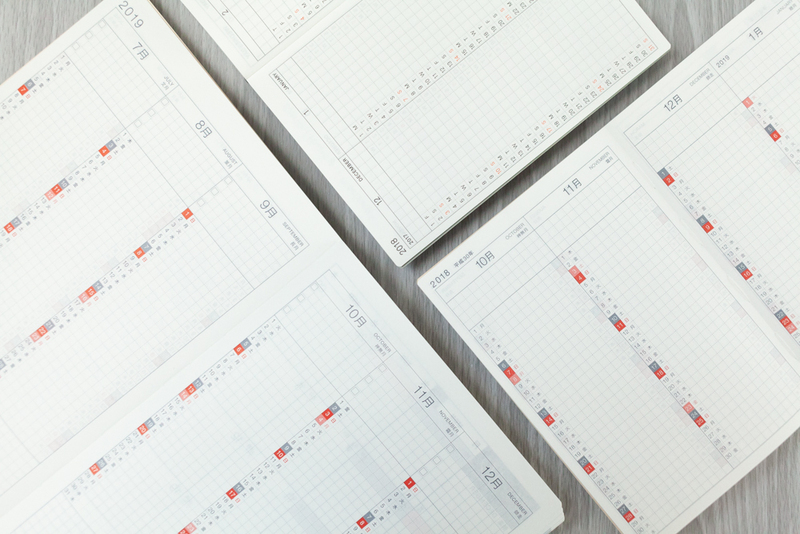 The daily pages have a small timeline so that you can plan out you day and still have space to make a to-do list. There are a variety of different covers out there. Official and unofficial covers below are a few of the covers that I have. Left to right is the Gingham cover for my cousin, the Mina Imagine for the A6 and then the Quiet Harbor clear cover for the weeks. 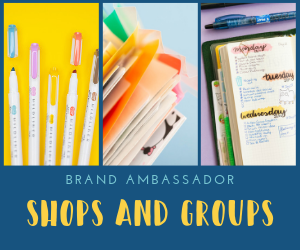 There are variety of different add-on’s that you can get to expand your planner, or improve your planner for you. These are notebooks and writing boards and stencils. 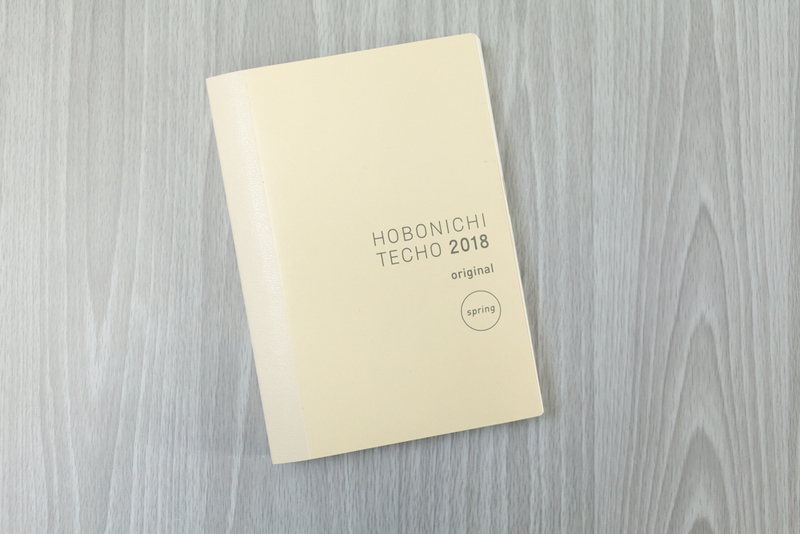 Now you may be still be wondering which techo is for you. Well, I would start with how you wanting to use it. 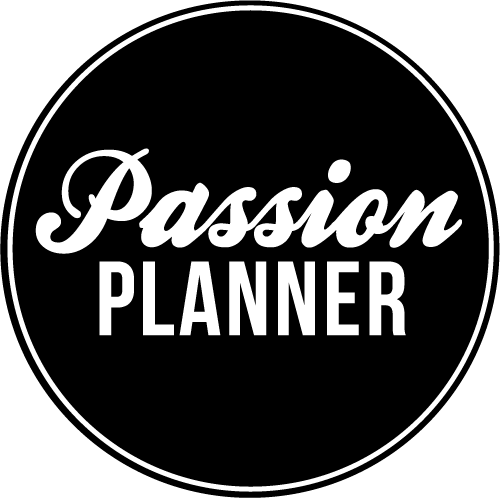 Are you going to use it as a planner for work? Maybe as an art journal? Or perhaps a gratitude journal? I hope that this has helped you in seeing what the differences are between the four different Hobonichi’s that are out there.